Keliling kota sambil dinner di dalam Bus. My first time EATING IN BUS. Eat/Fine-Dine on a moving bus? Best Experience Ever. Breaking the rules and hand a groovy lunch. 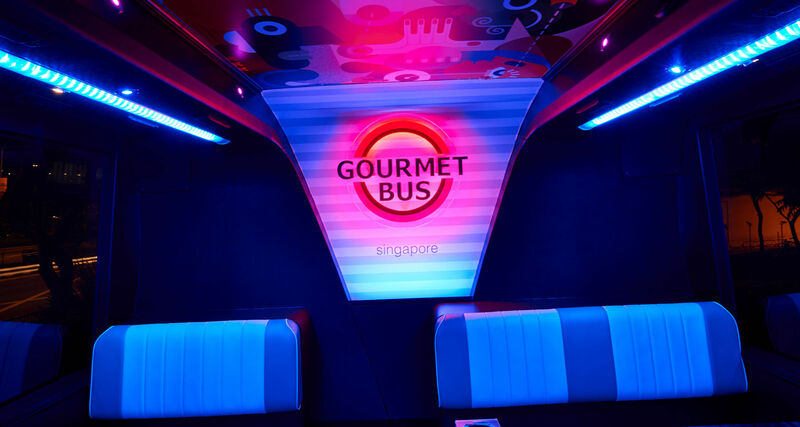 Singapore Gourmet Bus – Combining Scenic City Tours with Dining! Singapore Gourmet Bus boasts 2 menus at the moment - lunch and dinner!